Well Fed eggs come from a happy flock of free range laying hens. Like our broilers, they spend their lives roaming on pasture and eat a high quality non-GMO ration from our neighbors at Conway Feed. Our egg production model goes far beyond typical “free range” conditions in which hens typically have only token access to the outdoors. Our hens enjoy free access to high quality, fresh pasture which results in a varied, nutrient rich diet. This creates flavorful eggs with deep orange yolks and firm whites that are a step above in quality and taste. 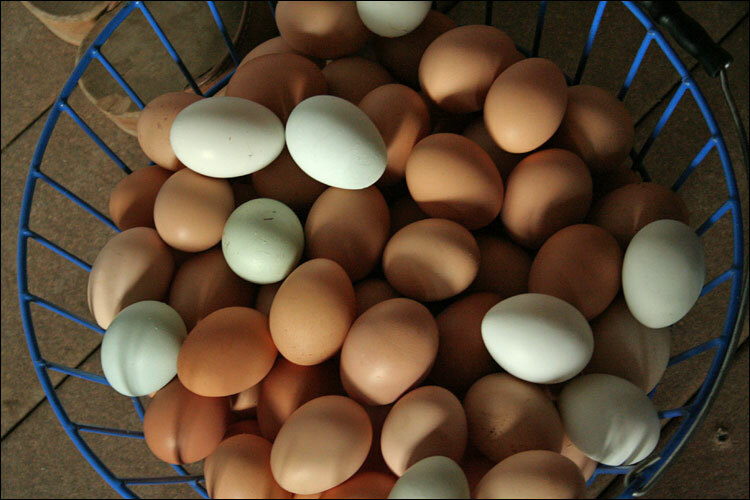 Eggs are available for sale seasonally at the Lake Forest Park Farmers Market and the Anacortes Farmers Market.